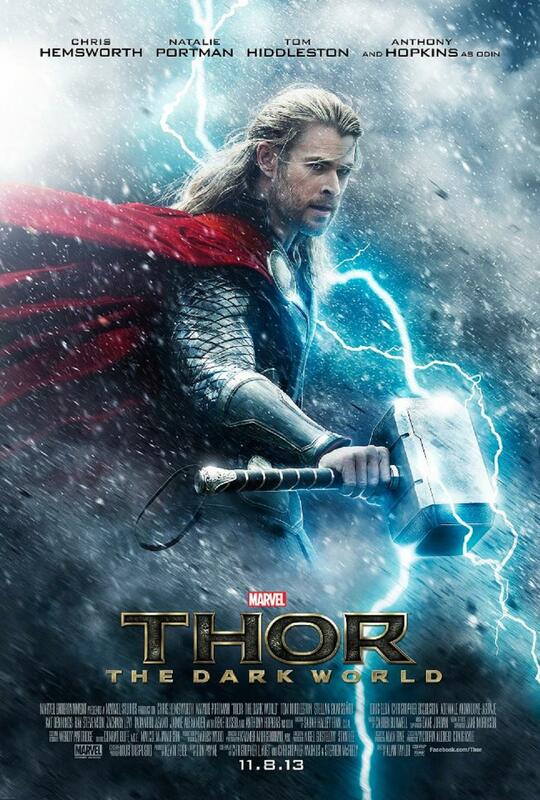 The first poster for Thor 2: Dark World has just been released bringing us one step closer to the trailer. For a movie that has a November 2013 release date we haven’t seen much from the movie. Usually we might have a few teaser trailers anything up to a year before release but six months before all we have is this awesome poster. It might be to let Marvel focus on Iron Man 3 which is out soon or due to some scenes being re shot to fit in with phase three of the Marvel Movieverse. The latest rumor to go with Thor 2 is that Jane Foster who is played by Natalie Portman is likley to die in the movie. Natalie has said recently she doesn’t want to do more Marvel movies and it would be a good point to write her out of the franchise.